So nice! Great comp & sharpness! Excellent find and great image, Paul. Sweet composition and beautiful detail on the ermine. Well done! A great white on white image, Paul. 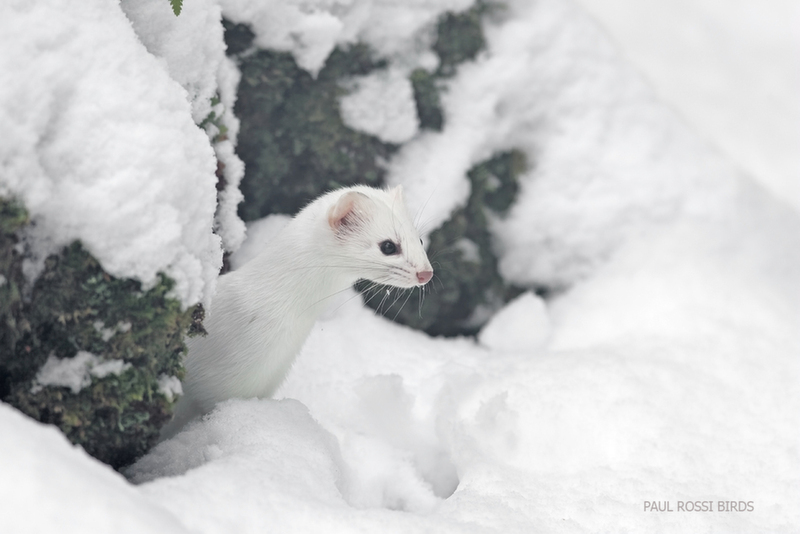 The exposure is perfect — sweet detail in the ermine and in the snow. This little one really blends in with the snow and rocks. Great capture. How wonderful to see it peeking out from behind a rock in the snow. Love the intent look as well. Beautifully done!